In 1960, The Magnificent Seven came about under the direction of John Sturges to limited acclaim. Critics didn’t love it because Akira Kurosawa’s Seven Samurai (of which Magnificent is adapted from but with a Western spin) was still a near-perfect film fresh on everyone’s minds. In the decades since, critics have grown to appreciate Magnificent Seven more due to the cascading success of the film’s actors, and it’s hard to deny the sheer entertainment value to be had in the first 2/3rds of that film. As someone removed from that era entirely, I found the 1960 adaptation to be a forgettable shadow of Seven Samurai — but I’ve always been interested in the idea of updating the original concept with heavier themes, better visuals, and other details it could rightfully borrow from Kurosawa’s work. Yes, Magnificent Seven has had sequels and even a TV show since its mid-century release, but we now have a modern remake in the fashion of 2010’s True Grit. The only difference, though, is that Grit managed to be a remake with a purpose. By comparison, the 2016 Magnificent Seven is more akin to a video game made from the movie. There’s more violence, the characters’ stories are tossed aside for manufactured movie moments, and there’s little reason to watch this one outside of seeing a fast-paced action Western. If that’s what you want out of Magnificent Seven because you have some sort of sketched idea of what the original (and the original before that) had to offer, then you’ll probably walk away satisfied. 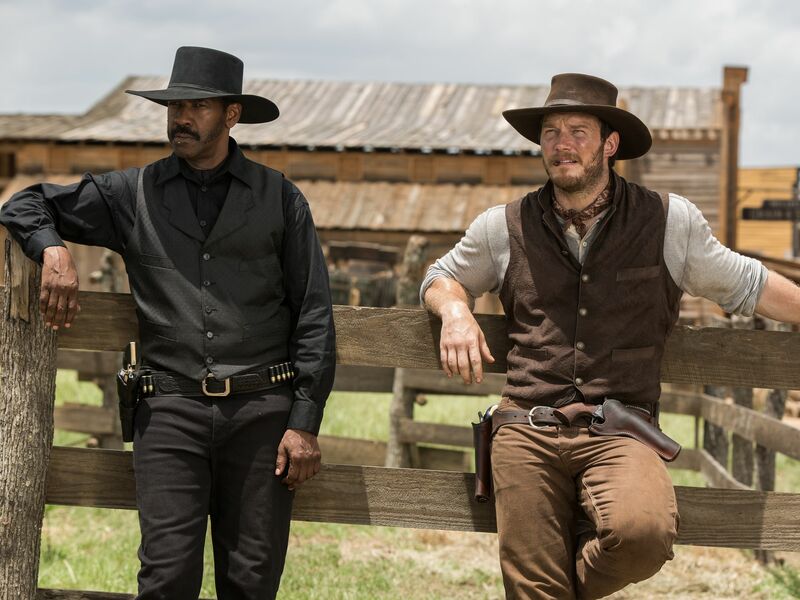 Directed by Antoine Fuqua (Training Day, The Equalizer), this new take on Magnificent focuses on Rose Creek, an American frontier town under siege by a robber baron aptly named Bartholomew Bogue (Peter Sarsgaard), who mostly mumbles vain platitudes about how capitalism justifies his boring villainy. This is a strange departure from the small Mexico town victimized by bandits in the 1960 version, made more confusing by the fact that this change to Rose Creek holds little meaning outside of a desire to keep things American, which has all sorts of troubling implications if you think about it too long. To ward off Bogue’s militia, newly-widowed Emma Cullen (played by Haley Bennett) seeks out the help of Sam Chisholm (Denzel Washington), a warrant officer from Kansas who in turn recruits six other mercenaries from around the area. They include wise-talking and gunslinging Joshua Faraday (Chris Pratt as Star Lord in the West, essentially), a confederate sharpshooter (Ethan Hawke), his knife-throwing Chinese “manservant” Billy Rocks (Byung-hun Lee), frontier survivalist Jack Horne (Vincent D’Onofrio), a gruff Mexcian outlaw Chisholm was previously in pursuit of (Manuel Garcia-Rulfo), and a Comanche archer named Red Harvest (Martin Sensmeier). A significant amount of time in Magnificent Seven is spent fleshing out character skill-sets more than anything else, like why any of the mercenaries are willing to put their lives on the line for strangers. The film tries to posit this as some sort of “Eff it” mentality that might be mixed in with a soft decency that doesn’t come across in any performance, especially with Faraday, who seems to change his temperament based on the position of the sun. Chisholm is the closest to having any real sense of intention in the script, and there could have been real opportunity to make his growing affection for the rest of the cast convincing. But unfortunately, Washington brings almost zero nuance or heart to the role, and the entire ensemble suffers for it. 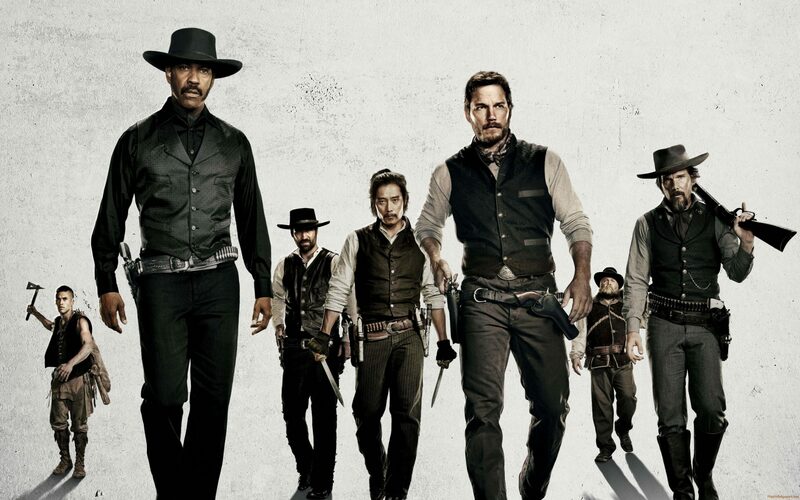 There are flaws aplenty in the film’s basic narrative structure and script that prevent Magnificent Seven from ever having an affecting impact. But at the very least, it competently accomplishes what it set out to do. 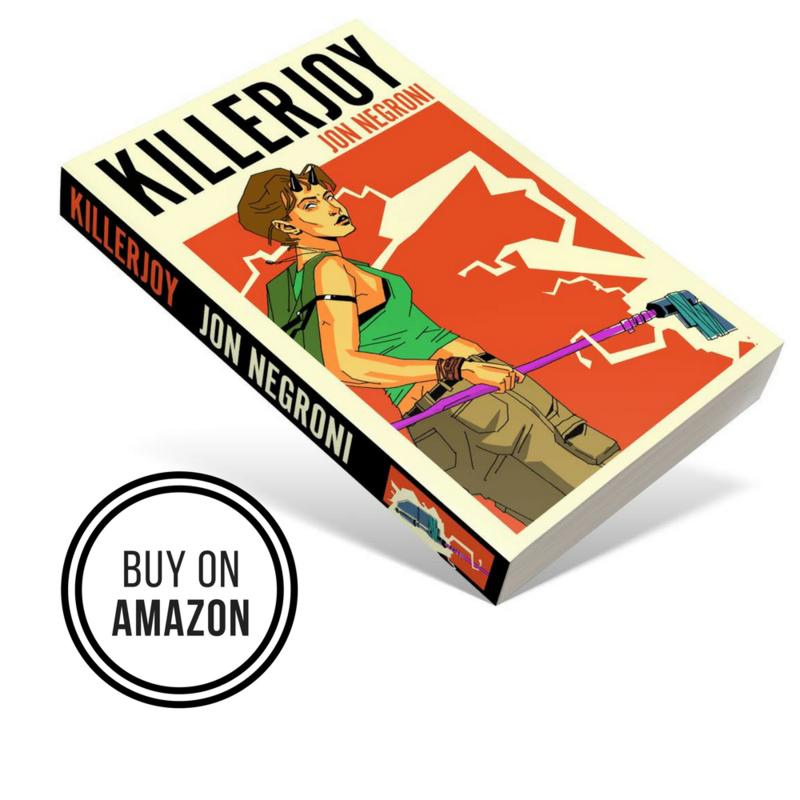 The half hour or so of nonstop gun-toting action is thrilling to watch, and you might care enough about some of the characters involved (if not the one-note villain) to share some of their tension as the odds grow ever against their favor. But once the dust settles, you’ll start to wonder what the point of all this endless violence really was as the film rushes to the finish line with as little effort as possible. There’s no reflection on much of anything important that the film accidentally managed to say. I love Matt Bomer, and there is no reason for him to be in this movie (for about four minutes). The late James Horner composed the film’s score (which is fantastic), and it’s also his last composition. Believe it or not (and I checked), this is the first western Denzel Washington has starred in. What a waste. So…Chris Pratt. Honestly, I think the actor was underserved here, same as Washington. The film would have been saved if the script had gotten their chemistry right, but there’s nothing to see here.